Rob Endsley is a retired river guide and full time Alaska charter captain with thousands of days logged on the water. 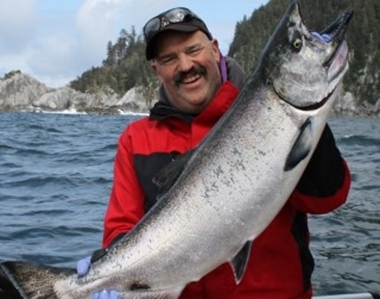 In 2007 he was recognized by Salmon and Steelhead Journal as one of the top 25 salmon and steelhead guides on the West Coast and he has received extensive coverage in both the regional and national media. When he's not fishing you can find Rob chasing big game in the mountains of the west every fall. 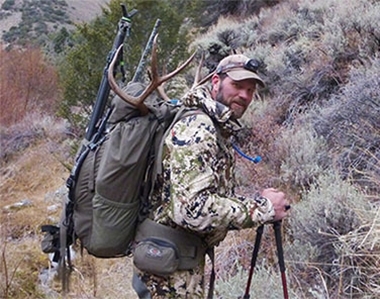 He brings a lifetime of fishing, hunting, and outdoor experience to the Outdoor Line radio show. Tom "Nelly" Nelson has spent over a half-century on the waters, uplands and mountain ranges of his beloved home, the vast Pacific Northwest. For the past decade and a half, Nelly has been the voice of Seattle Saturday morning outdoor radio where his lifetime of hunting & fishing experience and his communication skills have been put to the test. From his childhood on the rivers and bays of Puget Sound to the salmon, herring and charter fishing fleets of Alaska, Tom has taken full advantage of all that the challenging outdoor classroom has to offer. Robbo is AWOL so Eric Linde of Linde's Sportfishing and Chris Long of Jolly Mon Charters step in and step up! Lisa Killick of WestCoast Resorts looks on the bright side (Meaning NORTH) side of Canadian chinook restrictions. Eric Linde: TOL’s first guest on the Columbia River Springers! Don't miss Truck Vault's Northwest Outdoor Report! The TECH Line: Lowland lake openin' day prep! Roy Robinson Chevy/RV's "Really? Where? and much, much more! Lets get the forum back...common Tom! Subscribe here to receive E-News from The Outdoor Line about upcoming trips, blogs, outstanding videos, prize giveaways, and much more.